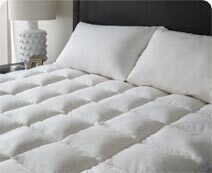 The MicroCloud range is an elite brand of exceptionally comfortable bedding for the Australian accommodation market. This unique range consists of blissful pillows, sumptuous bed toppers, luxurious lightweight quilts, ultra supportive and comfortable mattresses, our mattress protector, pillow protectors and 'snuggle' robes. Offering outstanding value, MicroCloud bedding is not only delightfully comfortable but also hypoallergenic, odourless, commercially washable, long lasting and free from feathers – attributes considered imperative by the majority of guests. Our focus is exclusively on hotel quality bedding and our well-researched knowledge of people's bedding needs has enabled MicroCloud to design, create and deliver bedding that exceeds guests' expectations. 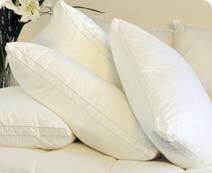 We guarantee that our range will turn any bed setting into instant luxury. With over 60 years' combined expertise in designing and creating superb commercial bedding, the MicroCloud team is committed to ensuring your guests enjoy a memorable experience, one of luxury, comfort and relaxation. At MicroCloud, it is our passion to always strive for excellence – and pass it on to you. Luxurious hotels and boutique properties that choose MicroCloud to comfort their guests. Trusted by more than 500 hotels, motels, resorts and serviced apartments.